Were you looking for FDA Warning to DePuy Orthopaedics or DePuy Pinnacle or Zimmer Durom Cup lawsuits? DePuy Orthopaedics withdrew its ASR XL Acetabular metal-on-metal DePuy ASR hip replacement on August 24, 2010 following approximately 300 complaints from people undergoing hip replacement. The ASR hip replacement is a metal-on-metal device believed to have a design flaw that has resulted in many patients needing follow-up hip revision surgery to replace the device soon after implant. 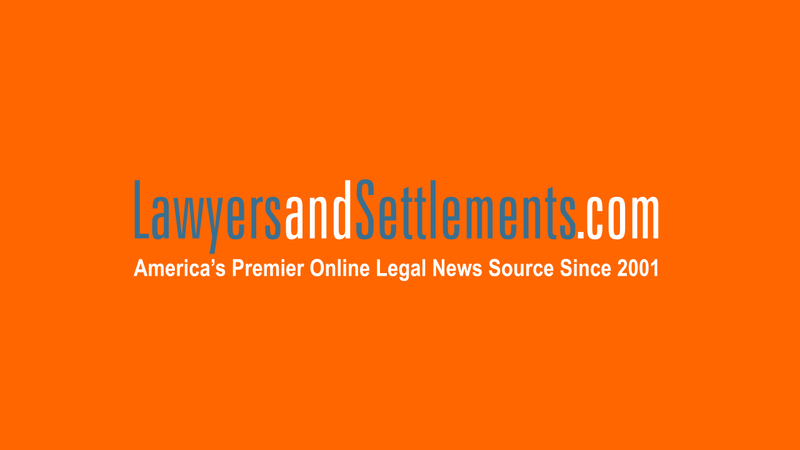 The ASR is considered by a number of orthopedic experts to be a defective product and DePuy hip replacement lawsuits are currently pending. Send your DePuy Hip Replacement claim to a lawyer who will review your claim at NO COST or obligation. The DePuy hip replacement, known as the ASR, appears to have a high failure rate compared with other hip replacement devices. The DePuy hip replacement recall is considered to come way too late by some orthopedic experts. DePuy Orthopaedics pulled the ASR from Australia in December 2009 and from the US in March 2010, but the Johnson and Johnson hip replacement recall follows more than two years of complaints from patients who needed costly and painful hip revision surgery within a few years of receiving the ASR implant. In late 2009, DePuy Orthopedics, a division of Johnson & Johnson, announced its plan to phase out sales of the product worldwide by the end of 2010, but not before the ASR had been implanted in thousands of people. Approximately 250,000 people in the US alone receive hip replacement implants every year and about one-third of those receive metal-on-metal implants. Of those that receive the DePuy ASR hip replacement, twelve percent, or approximately 1 in 8 patients, will require hip revision surgery. In March, 2010 Depuy sent a letter to doctors saying recently analyzed data from Australia indicated a higher-than-expected failure rate than traditional hip replacement on certain types of patients. As well, the data showed that the risk was highest for patients of small stature, which would indicate women and patients with weak bones. In February 2013, the FDA announced a Class 1 recall of the DePuy LPS Diaphyseal Sleeve. At issue was a problem in which the sleeve may not connect properly to the sleeve base, resulting in fracturing of the sleeve and possible infection, soft tissue damage or loss of the limb. The FDA made its announcement after receiving 10 reports (six of fractures and four of loosening that may or may not be linked to the device design) of the LPS Sleeve malfunctioning. Affected devices were manufactured from 2008 through July 20, 2012. Patients who have the device implanted but are not experiencing symptoms are advised not to undergo revision surgery. Although early reports indicated the Depuy hip replacement device was failing at a rate of between 12 and 13 percent, more recent reports suggest that failure rate was an underestimate. In March 2011, the British Orthopaedic Association and the British Hip Society said preliminary data, based on the reports of four surgeons, put the actual failure rate much higher. In fact, data on the ASR XL Acetabular System shows that 21 percent of patients with that hip replacement system require revision surgery after four years and up to 49 percent of patients require revision surgery after six years. This means that based on the data, almost half the patients who received the DePuy ASR XL Acetabular System could require revision surgery after six years of the implant. Furthermore, although the 21 percent after four years includes patients who required revision surgery, it did not include patients who currently have pain in the implant area but have not yet required revision surgery. If all those patients required revision surgery, the organizations said, the revision rate could rise from 21 percent up to 35 percent after four years. The data is considered reliable although it has not received peer review that is required before it can be published (the information was presented at the British Hip Society Annual Conference and released in a statement; www.britishhipsociety.com). The organizations recommend that pain in people with these hip replacements should be taken seriously and properly investigated. 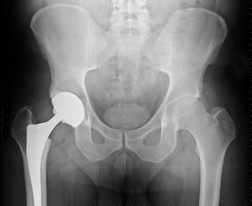 A study published in November 2011 in the British Medical Journal suggested that metal-on-metal hip replacement devices are no more effective than traditional hip replacement devices and may have higher revision rates. According to researchers, patients who receive a metal-on-metal hip replacement device could be at double the risk of undergoing hip revision surgery. Meanwhile, a report by the National Joint Registry for England and Wales (09/11) found that the failure rate of all-metal hips is increasing, with the ASR failing at the highest rate. According to the report, the ASR failed in approximately one-third of patients who were followed for the longest period. The report noted that of people who received the ASR six years ago, approximately 30 percent had it replaced. Of those who had the ASR implanted five years ago, 17 percent had it replaced, although that percentage could increase in the next year. An article in The New York Times suggests DePuy executives knew about the high failure rate a year before the recall was announced. According to the article, the FDA rejected a DePuy hip replacement device because of studies showing a high premature failure rate. That same device was later sold overseas, while a different device was used in the US. A number of orthopedic doctors believe the DePuy metal on metal implant had a design flaw that made it difficult to implant properly, specifically that the component has a narrow window for proper placement. 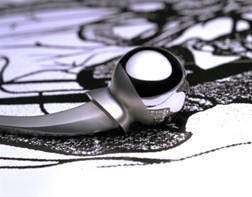 The design of the ASR cup is shallower than some similar devices, and believed to be the implant's problems. According to The New York Times, other problems associated with the DePuy metal on metal implant include the potential for generating large amounts of metal debris during normal wear and tear, which can negatively impact soft tissue and evolve into a health issue for some patients. Product liability lawsuits allege negligent design and promotion of a defective product. According to the New York Times, DePuy Orthopedics introduced their metal-on-metal hip implant without adequately testing and researching the device. Although the ASR was approved for use by the FDA in 2005, it was cleared through a regulatory pathway that did not require it to undergo clinical trials. Some patients who were implanted with the DePuy ASR have developed ALVAL (aseptic lymphocyte dominated vasculitis associated lesion), which is an adverse tissue reaction to metal particles and ions, and pseudotumor (a soft tissue mass that may be the result of a toxic reaction to an excess of particulate metal wear debris). If you or a loved one has been implanted with a DePuy ASR System and required further surgery, hip revision surgery, or developed other complications, you should contact an experienced products liability lawyer. If you or a loved one has suffered illness or an adverse health event caused by this product, please click the link below and your complaint will be sent to a DePuy lawyer who may evaluate your claim at no cost or obligation. Should the FDA Share Some of the Blame on DePuy? Did your DePuy Hip Surgeon Receive Compensation from DePuy? Story of Failed DePuy Hip Replacement Devices..
Oregon Reaches $4M Settlement with DePuy Over..
J&J Reaches $2.5B ASR XL Hip Replacement Sett..
J&J Reaches Record $4B Settlement of DePuy AS..
Increasing pain (without meds, it would be worse than before the hip replacement-a 9 to 10), increase in pain meds, reduced to using cain, walker, toillet aide. Inability to take a full or part time job. Loss of income due to above and paying for co-pays with Doctors, tests, x-rays, meds, travel to appointments and to get records. I have daily significant pain, right leg pitting edema, three large ulcers on the right leg resulting from venous disease and venous stasis. I also have severely compromised ambulation. Had constant pain after surgery which turned to excruciating pain until the metal-on-metal hip was removed and replaced with ceramic/plastic. It became debilitating and I could not function in normal everyday activities.